This vine volunteered in my garden this spring. I hoped it might be that delicious variety of cucumber I grew last year. 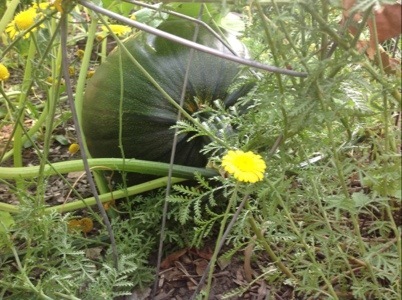 Alas, it is fruit of the squirrels, who planted my fall pumpkin without even trying. It likes the heat. It may cover my entire yard by the time I get home in August. 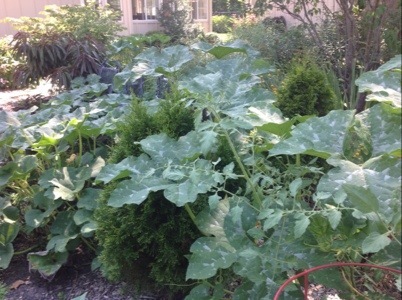 This entry was posted in travel and tagged Garden, plant, pumpkin, travel. Bookmark the permalink.